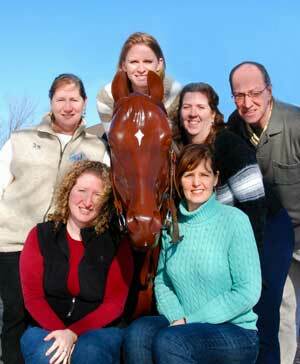 The Alltech FEI World Equestrian Games has invited Equine Guelph’s EquiMania! to be the centre for youth equine education over the 16-day competition coming to Lexington, Kentucky next fall. An invitation to this international stage is a remarkable feat given the tender age of Equine Guelph – a youthful six years. “We have worked diligently on building Equine Guelph’s programs including, EquiMania!, and I am so proud that we have earned this opportunity,” says Ecker. 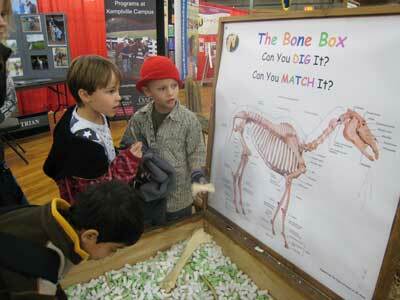 EquiMania!, Equine Guelph’s interactive traveling education centre for youth, has been a popular exhibit in Canada – featured regularly at the Royal Agricultural Winter Fair, Can-Am All Breeds Equine Emporium, Royal Manitoba Winter Fair and rural agricultural fairs – but never before has the 5,500 lb. exhibit ever crossed international borders. The Games, to be held at the Kentucky Horse Park in Lexington, Kentucky from September 25 – October 10, 2010, are the world championships of the eight equestrian disciplines recognized by the Fédération Equestre Internationale (FEI). Held outside of Europe for the first time, the competition involving 600 riding competitors and 700 horses from more than 60 countries is expected to be attended by as many as 600,000 spectators and viewed on television by an international audience exceeding 460 million. EquiMania! will be located in the centre of the Park – in the Carriage House. The facility will be chock full of unique educational displays, activities and quizzes to engage youth about horse health care and safety. Kids of all ages will learn: how to braid a tail, about potential careers in the horse industry, to tell the age of a horse by its teeth, horse farm and rider safety, to identify horse bones, colours of equine competition ribbons, equine nutrition, how to wrap legs and what parasites look like. Not only will young visitors learn new things about horses, but horse people from around the world will learn about Equine Guelph’s award-winning online education programs in equine science and business management. Tickets have already been sold to enthusiasts in all 50 U.S. states and 48 countries. For more information on the and to purchase tickets while they are still available, visit Alltech FEI World Equestrian Games. What People are saying about EquiMania!